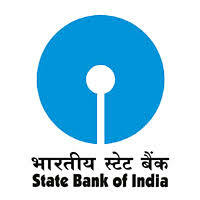 SBI Jobs Recruitment Notification 2018.State Bank of India, SBI inviting applications for the positions of Post Doctoral Research Fellowship.Interested and Eligible candidates can apply for the positions. Last Date for Submission of Application is on August 07th, 2018..
1. Qualification: Ph.D in Banking/Finance/IT/Economics related to BFSI sector Other Qualication (Preferred): Applicant should have Consistenly good academic record and demonstrated research skills. Applicant with outstanding professional contributions (as rst or second authors only) to publication of papers / articles in leading, high impact ‘A’ Category journals will be given preference. Specic skill required: Applicant should have consistently good academic record and demonstrated research skills. 2. Experience: Minimum 3 years’ Post Qualication experience in Teaching/Research work in Premier Institution/ University (like IIMs, IITs, ISB, XLRI or equivalent) OR Consultancy. a. At least five publications which should include two international journal papers (one of which must be 'A Category) and two conference papers based on their fellowship. The fellow will also carry out external consultancy work / project on behalf of the Bank (self marketed / Bank nominated). The service of the Fellow may be utilized by the Bank for academic assistance including research assistance, teaching and handling of tutorials. Research work in the areas relating to BFSI sector. 4. Stipend: Fixed monthly Stipend of Rs 1,00,000/- (not negotiable), subject to deduction of TDS as applicable. One time endowment of Rs 2 lakh to Rs 5 lakh may be awarded to the Fellow at the end of two years in case of exemplary research performance / international publications in reputed journals based on assessment of Performance Review Committee. The Bank will fund the expenses for the fellow to attend one prestigious international and one national conference in which joint paper of Fellow with SBI has been accepted for presentation on actual basis relevant costs. The scholars (Fellows) will also be free to take up outside assignment on a revenue sharing basis (Proportion or percentage of revenue sharing will be decided on case to case basis).Residential accommodation at ATIs on basis of self-payment of utility bills. 3. Likely Place of Operation: State Bank Institute of Leadership, Kolkata or any other Apex Training Institute at Hyderabad or Gurugram or anywhere else desired by the Bank. 1. Before applying for Post Doctoral Research Fellowship, the applicant should ensure that he / she fuls the eligibility and other norms mentioned above for that post as on the speced date and that the particulars furnished by him / her are correct in all respects IN CASE IT IS DETECTED AT ANY STAGE THAT AN APPLICANT DOES NOT FULFIL THE ELIGIBILITY NORMS AND / OR THAT HE / SHE HAS FURNISHED ANY INCORRECT / FALSE INFORMATION OR HAS SUPPRESSED ANY MATERIAL FACT(S), HIS / HER CANDIDATURE WILL STAND CANCELLED. 2 .IF ANY OF THESE SHORTCOMINGS IS / ARE DETECTED EVEN AFTER SELECTION, HIS / HER FELLOWSHIP IS LIABLE TO BE TERMINATED. iii. The applicant should ensure that the application is strictly in accordance with the prescribed format and is properly and completelylled. iv. Post Doctoral Research Fellowship to selected candidate is subject to his/ her being declared medicallyt as per the requirement of the Bank. Such fellowship will also be subject to the rules of the Bank in force. v. are advised to keep their e-mail ID alive for receiving communication, viz. call letters/ Interview date advices etc. 4. The Bank takes no responsibility for any delay in receipt or loss of any communication. vii. Candidates serving in Govt./ Quasi Govt. ces, Public Sector undertakings including Nationalised Banks and Financial Institutions are advised to submit ‘No Objection Certicate’ from their employer at the time of interview, failing which their candidature may not be considered and travelling expenses, if any, otherwise admissible, will not be paid. viii. In case of selection, candidates will be required to produce proper discharge certcate from the employer at the time of taking up the Post Doctoral Research Fellowship. ix. Candidates are advised in their own interest to apply online well before the closing date and not to wait till the last date to avoid the possibility of disconnection / inability/ failure to log on to the website on account of heavy load on internet or website jam. SBI does not assume any responsibility for the candidates not being able to submit their applications within the last date on account of aforesaid reasons or for any other reason beyond the control of SBI. 1 .Candidates will be required to register themselves online through the link available on SBI website https://bank.sbi/careers OR https://www.sbi.co.in/careers and ii. Candidates shouldrst scan their latest photograph and signature. Online application will not be registered unless candidate uploads his/her photo and signature as speced on the online registration page. iii. Candidates should ll the application carefully. Once application islled in completely, candidate should submit the same. In the event of candidate not being able to ll the application in one go, he / she can save the information already entered. When the information / application is saved, a provisional registration number and password is generated by the system and displayed on the screen. 3. Copies of application (registered online) along with self-attested photocopies of following documents should reach by post to “State Bank of India, Central Recruitment & Promotion Department, Corporate Centre, 3rd Floor, Atlanta Building, Nariman Point, Mumbai (Maharashtra, INDIA), PIN-400021” on or before 07.08.2018: Curriculam vitate including the list of publications Proof of Citizenship. Proof of Date of Birth. A two page write-up on the high quality publication by him/her. A two page write-up on the intended research work at SBI. At least two letters of recommendations / reference - one from a peer regarding the research capabilities and one from applicant’s dissertation supervisor or from the academic institute. No objection certicate / relief certicate from the present employer (if currently employed) Photocopies of the Educational certicates and marksheets. Experience certicate Photocopies of two Best Journal Papers In case of non-receipt of hard copies of online application with the above-mentioned documents by the aforesaid date, their candidature will not be considered for shortlisting and interview.